Carnegie Mellon University’s Dietrich College of Humanities and Social Sciences has selected five Andrew W. Mellon Fellows. The Ph.D. students are preparing to start ambitious projects that blend research from the English, History and Modern Languages Departments. “Dietrich College students continue to submit really interesting project proposals. From a strong group of applicants, we selected five projects for support. Some of them will prototype novel learning technologies, others will use digital tools to answer previously unanswerable research questions in the humanities,” said Andy Norman, project manager for the fellowship. 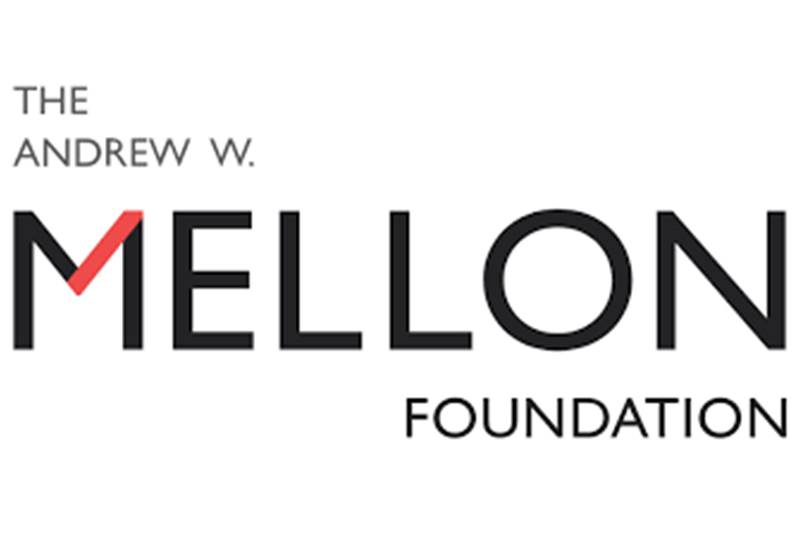 The support comes from the Andrew W. Mellon Foundation, which awarded a five-year $2 million grant to CMU in 2014 to transform humanities graduate research and increase learning through digital technology. With its strengths in pioneering technology-enhanced learning (TEL) and its university-wise commitment to using TEL to improve student learning outcomes through the Simon Initiative, CMU is well-positioned to meet these goals. Dolce’s fellowship research will utilize the video-recording technology V-Note to facilitate and analyze advances in student performance of higher-order interactional competencies using their foreign language. Dolce’s work will provide a blueprint for how technology can be used to instruct and assess student ability to take turns, sequence actions, shift topics and switch roles when employing foreign language in situated interactions with native speakers. Through making it easier to identify development of student interactional competencies, it is hoped that foreign language research and instruction will shift from a focus on acquisition of language facts to a focus on the performed abilities of foreign language students as they work to achieve social objectives. Under the guidance of his adviser Remi Adam van Compernolle, assistant professor of second language acquisition and French and Francophone Studies, Dolce will publish and present his findings at national conferences to provide leverage for the technology and promote the development of student interactional competencies. V-Note can change the way that researchers, including teachers and students, conceive of language; knowledge of turn-taking order can empower students to initiate actions, facilitating learning through student-directed discourse that is focused on their own questions and interests. Grunewald’s research involves German prisoners of war (POWs) in the Soviet Union from 1941 to 1956 and investigates why the Soviet government chose to delay repatriation for 11 years after the end of WWII, which was seven years longer than any other Allied Powers held their POWs. Arguing that the Soviets did this out of economic necessity caused by destruction of war, Grunewald held a Mellon Fellowship in 2016 to spend a semester learning how to use the professional mapping software ArcGIS. Through the program, she began to make a series of maps, which illustrate the intersection of POW camps, infrastructure, work assignments and resources. Grunewald also spent the 2016-17 academic year doing archival research in Russia, identifying new aspects of POW labor to map. As a 2017-18 fellow, Grunewald plans to conduct research in German and Swiss archives, which have information about attempts to trace POWs as well as more detailed repatriation records. As a fellow, Pollak will investigate how public discourse about the National Security Agency’s (NSA) data collection policies shifted in response to Edward Snowden’s leaks of secret NSA documents in 2013. To do so, Pollak will construct corpora of press releases and commentaries on NSA policies from the American Civil Liberties Union, the Heritage Foundation, and the American Enterprise Institute published both before and after the leaks. Segmenting each corpus according to time period, Pollak will use the program DocuScope to conduct exploratory factor analyses. Subsequently, he will use discourse analysis to closely read texts exhibiting high factor scores. Pollak hopes the project will offer him the chance to study, practice, and model for others ways of productively combining automatic coding with more traditional forms of analysis. Through Suzelis’ fellowship, she hopes to connect literary scholarship, network science, and the ecological history of capitalism to show how histories of climate and sociological transfigurations have influenced our modern world system of capital. A two-part project, the first part of Suzelis’ research will use network analysis to study the transformation of land tenancy between lords, peasants, yeomen, and early capitalist farmers from late feudal to early modern England. Part two will analyze the transformation of the class status and political affiliations of transatlantic merchants in the 17th century. Suzelis aims to move scholars toward a more careful understanding of the relationships at work in sociological and environmental histories of capitalism, in literary and cultural studies, and in understanding how early modern social transformations still impact our modern world ecological system. Tang’s research intends to design an immersive digital game to teach Chinese formulaic expressions and to examine the effects of game-based language learning. The game will be used to assess game-based language learning outcomes and learner motivation. As a fellow, Tang will take courses on game development to design and playtest the game while working with game developers and the Eberly Center for Teaching Excellence and Educational Innovation for technology support. Digital games are considered to promote deep learning, and studies in the field of second language (L2) acquisition showed that digital games motivate learners to actively use L2s in meaningful contexts. Tang’s research will implement a scenario-based interactive game to teach formulaic expressions. The game will incorporate four specific gaming attributes: context (a coherent storyline, animated cartoon images), goals (rules for winning the game, rewards systems), feedback (feedback on pragmatic choices), and interactivity (the interaction between player and the game). A comparison environment will also be built to teach the same materials in a computer-based learning environment that does not involve the targeted gaming attributes. Tang’s study will compare learning outcomes and learner motivation between the game group and the comparison group.